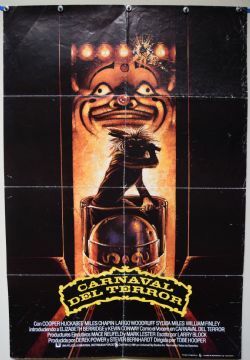 Carnival of Terror aka The Funhouse (Universal Pictures,1981) Spanish Poster Size 27" x 40"
The Funhouse directed by Tobe Hooper. 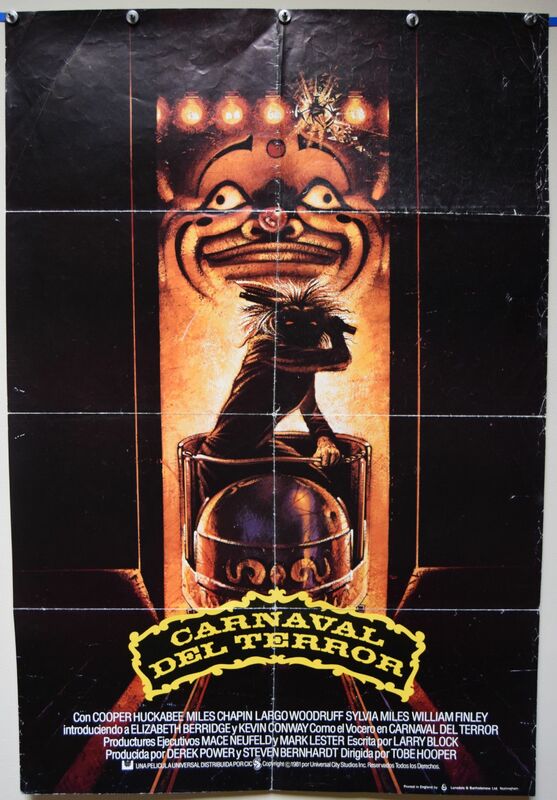 The poster has fold wear and creases. It was printed in England.